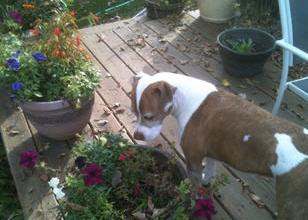 Mercedes was adopted in the spring of 2004 by her very happy owner and companion Laurel. Mercedes Most Favorite Thing: Going to the park to play fetch, smelling everything, and playing with the other dogs. Mercedes Least Favorite Thing: Having her nails clipped. Mercedes Favorite Quote: Saving just one dog did not change the world, but it surely did change the world for that one dog.